Sharing the good stuff. 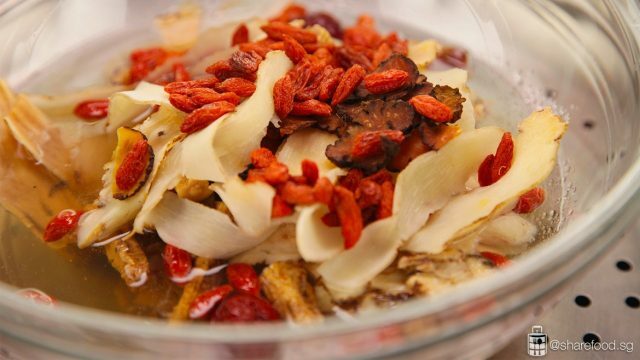 A simple and healthy Herbal Emperor Chicken Recipe from us to you. Deliciously tender because it's steamed for 2 hours and the meat falls right off the bones! 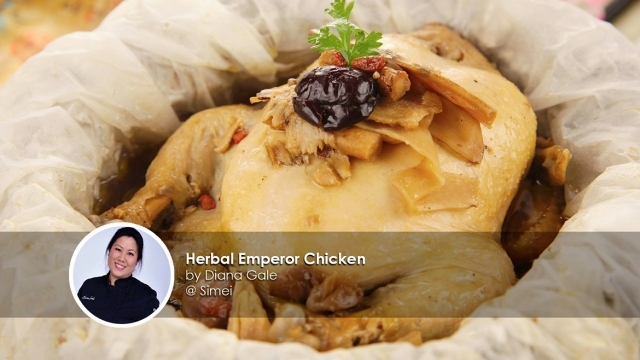 A simple and healthy herbal emperor chicken. 1. Chuan Gong 川芎 (Szechwan Lovage Rhizome): Known for its function to enhance blood circulation nourishing blood to promote the movement of Qi. 2. Yu Zhu 玉竹 (Solomon's Seal Rhizome): A neutral herb that helps nourish the yin energy in the lung and stomach. The herb helps to relieve pathogenic heat-related problems like coughing, a dry throat, persistent thirst, dizziness, painful tendons and stomach discomfort. 3. Dang Shen 党参 (Codonopsis Pilosulae): Dang Shen is commonly used in Traditional Chinese Medicine (TCM) to correct ‘Qi’ (气) deficiency and improve blood circulation to revitalise the body. 4. Huai Shan 淮山 (Radix Dioscoreae Oppositae): Helps invigorate the spleen and stomach and treats loss of appetite, body fatigue, diarrhoea and other diseases. 5. Bei Qi 北芪 (Astragalus Membranaceus): Promotes metabolism, fights body fatigue and is often used to improve poor physical conditions. 6. Tang Gui 当归 (Angelica Sinensis): This herb has an oestrogen-like property that nourishes the uterus and helps regulate female hormones. Relieves constipation, helps correct mild cases of anaemia and counters chronic fatigue syndrome. If you can't finish this dish, fret not. Shred the meat and store it in the fridge. Cook it with porridge the next day, and it will taste as good. Top it off with a bottle of Chicken essence to boost the nutritional level of the porridge. Yum! Rub soy sauce, salt and pepper evenly on the surface of the chicken. Set aside. 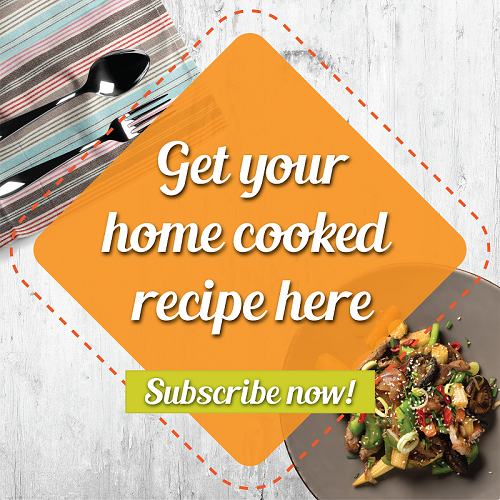 Place the herbs and water in a heat-proof bowl. Steam for 5 minutes. Remove from wok and set aside to cool. Lay a layer of heavy-duty foil on the steam rack and a layer of baking paper over it. Place the chicken in the middle of the baking paper. Pour the herbs and water over it. Stuff half of the herbs into the chicken’s cavity. Seal the foil and steam the chicken for 2 hours. Once it is cooked through, unseal. 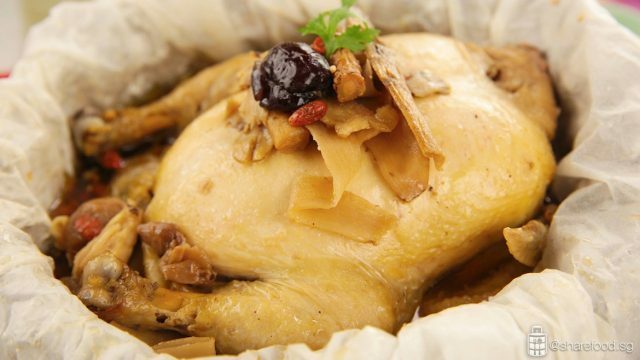 Season the chicken essence with salt or soy sauce for taste. Serve immediately.